Here is a very rare British trilobite. It is a complete example of Degamella sp. from the Ordovician of England. This bug came from a major European collection. Although this is a classic type, very few complete examples exist. This trilobite showcases its famous feature, the long, bulbous head, in fine fashion. The bug is nicely outstretched and somewhat inflated. 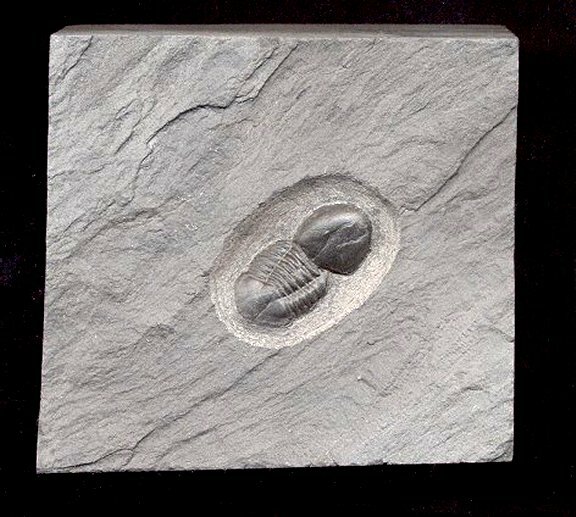 The trilobite is well centered on the rectangular block of matrix. This is a top-quality specimen of Degamella from Shropshire, England.